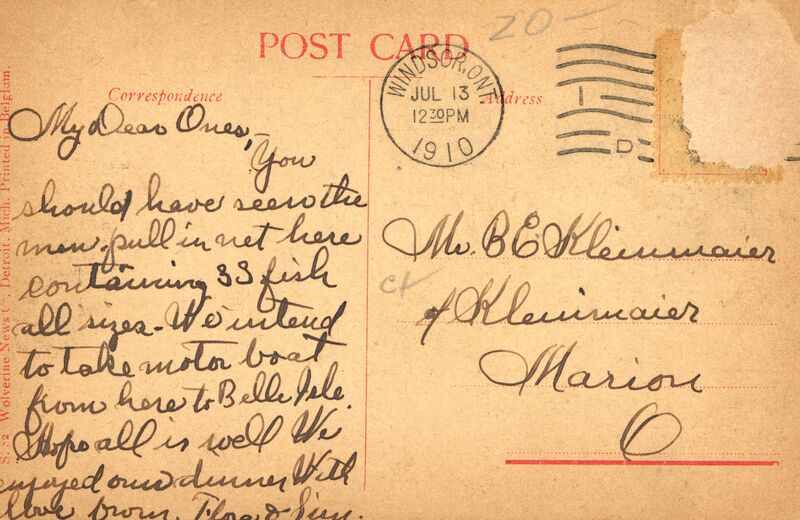 Postmarked 1910; addressed to Mr. B.C. Kleinmaier; the Island View Hotel existed before 1900; it may have been known as Biddigarie's; it was renovated by M. McIntosh and Mr. Forbes in Spring 1902; it was bought by Mr. and Mrs. Albert Hebert c. 1904; it was located at the foot of Lauzon Road on Riverside Drive East, then known as Sandwich Street. It was demolished in 2016. Originally, it was a stage coach stop and then later became a prohibition-era roadhouse, popular with Americans. There was also another establishment in the vicinity called Abar's Hotel. It was registered in 1893 and run by Henri Hebert until 1910 when he died. 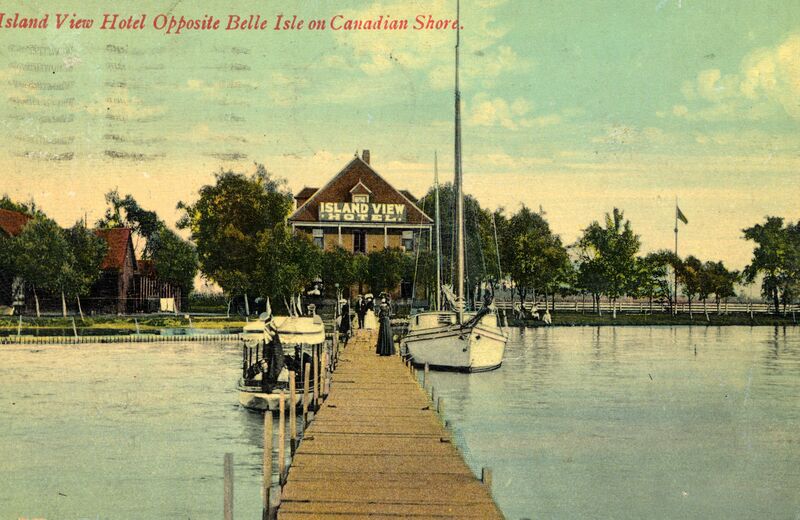 At this point it was taken over by his sons, in particular William Hebert - who then died in 1914; the original Abar's Hotel may have ceased operations a few years later; at some point in the late teens, early twenties, the Island View Hotel (run by the Albert Hebert family) started to become known as Abar's Island View Hotel, even just Abar's Hotel.